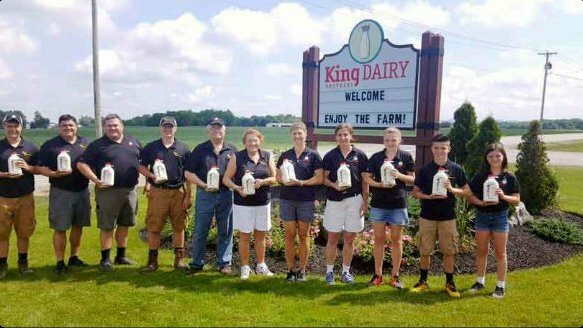 We couldn’t be happier to bring you fresh milk from our century farm, where our family and cows are our top priority, and our customers are KING! We often get asked why we got into bottling our own milk and the answer is simple...we love food! Fresh, great tasting food that truly is a different taste experience from what you might be used to. We take painstaking care to make sure you have the same delight we had as kids, drinking milk from the cows we care for daily, making milk from the crops we grow and harvest throughout the year. We are located just outside of Saratoga Springs, NY, where our entire family is dedicated to bringing you the highest quality, best tasting milk you’ve ever had. "Thank you for your early mornings/late nights/hard labor/and all of the things we have no idea about - To bring us healthy food!"